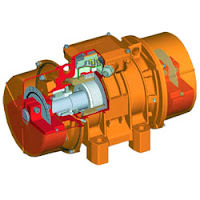 Vibration motors are motors which deliberately generate vibration. 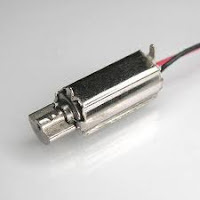 These motors are used in mobile phones to create vibration alerting the user to a call or a message. They are also used widely in the industries such as in construction industry to vibrate the concrete so that air pockets are not formed which the concrete is solidifying. They are also used in mixers to prevent material from being left behind after the mixing process is over. Vibration motors are also used in flour mills, pharmaceutical, food industries, etc to facilitate the smooth flow of materials in conveyors, hoppers and other mixing equipment. These motors are constructed just like normal motors. However, they have a mechanically unbalanced weights attached to the output shaft. These unbalanced weights create vibration. The frequency and the magnitude of the vibration can be changed by modifying the shape and weight of the counterweights.